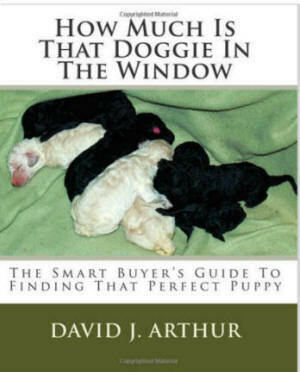 One of the top writers for TheDogPress.com, David Arthur takes readers, from long-time breeders to first time puppy shoppers, through the pitfalls (and excitement) of finding a puppy. Here's authoritative help on matching breed and puppy to the buyer's home life. The book presents a number of steps in the purchasing process to help overcome the hurdles the average pet buyer encounters. The Guide to Finding That Perfect Puppy should be in the hands of every puppy buyer before they buy! The author has been breeding (Standard Poodles), exhibiting, training, and judging dogs for more than twenty five years.